In a one-party state Parliament, it’s not hard to spot the lone Opposition Member. Although there are officially three non-H.R.P.P. members in the House, no one is more vocal on issues than three-term Member of Parliament, Olo Fiti Vaai. The man needs little introduction. A strong advocate for the voiceless against the government, Olo has never shied away from any issue. An Electrical Engineer by profession, you can say that he was destined to become a politician. He comes from a proud family of politicians on his Vaai side and he is proud to continue the legacy. “Even my mother’s side of the family, they are also politicians,” he said. 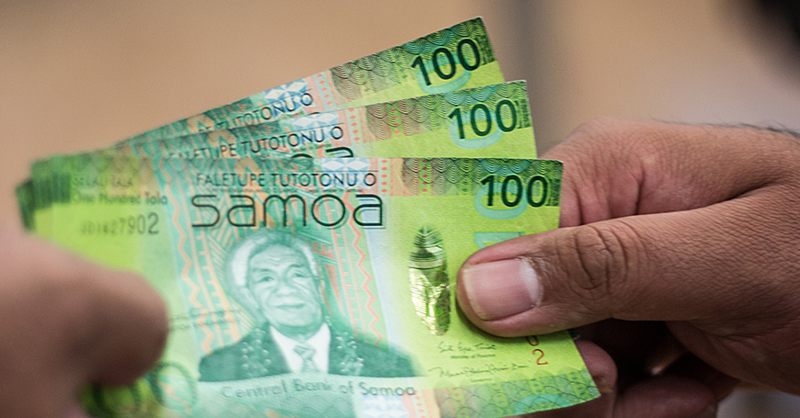 “My uncle Leilua Manuao had been serving as an M.P. for close to 40 years." Olo admits that from a young age, he was always fascinated by politics. “Even from a young age, I was actively involved in my uncle’s campaigns and this sort of gave me an idea on what is up ahead,” he said. 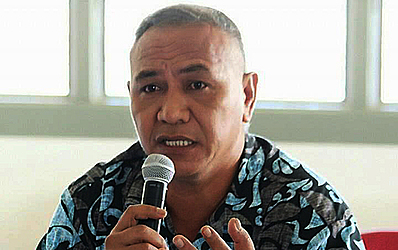 Selected as one of Samoa Observer’s people of the year, Olo Fiti said “timing is everything”. 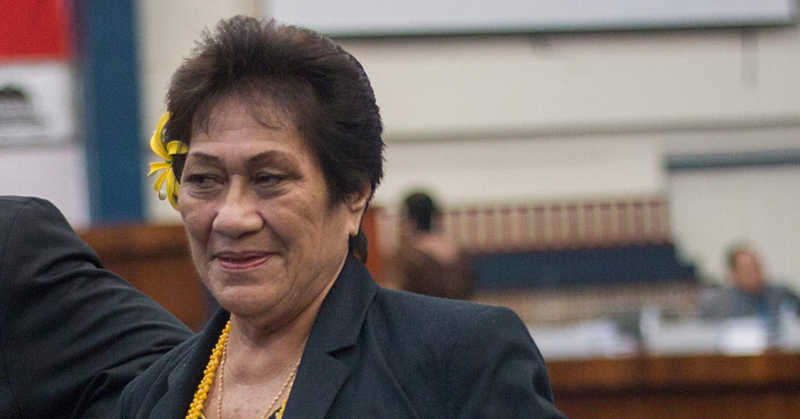 The first two terms, Olo Fiti was representing Gagaemauga II consisted of constituents from Salamumu in Upolu and Salamumu in Savaii. He’s currently serving at Salega East, representing constituents of Sagone, Fogasavai’i and Vaipu’a. Olo started his political career in 2005 and he joined the Opposition. “I felt that I needed to learn first when I won my first term and I knew then and there that in order to learn from my peers, I had to be on the opposite side,” he said. “I needed to learn the tactics and methods they used." “The reason being is that you must learn the basics of politics and what other place to learn from than to be on the opposing side, to know the issues and how to deal with them head on." “You must learn taking baby steps, observing and of course researching, and then you can address an issue, because if you are wrong, you’ll look like an idiot and no one wants that. “Even the Prime Minister started off in Opposition and that is why he’s a damn good politician,” he said. “This term, I ran as an independent Member of Parliament, to have the option whether to join H.R.P.P. or opposition. “This term I entertained the idea of joining H.R.P.P. to serve in government and of course my constituents. “All things considered and most especially the advice from my constituents, I opted to remain as an Opposition, as you know there is not so many members who can debate and address issues that are presented by the Government. “What good would it do for our Government and our people, if no one debated the laws and issues that were brought into Parliament? “Imagine if each Member of Parliament joined H.R.P.P. there wouldn’t be much debate, let alone a balance. Olo said it’s not easy being on the Opposition. “It’s been challenging since day one. The issues I present are not necessarily on the government’s priority list, but it’s okay, I will keep on knocking on the government’s doors for the infrastructure developments in my villages to be fixed. “But then it’s expected, given that I am vocal and I always speak my mind and tell the government they need to reconsider their decisions. To be honest I wouldn’t have it any other way,” he said. “I don’t do it for fun, to be honest. “I always look for a loop hole and then point it out to the government so they can take another look at their proposal and make it better with the concerns raised, and that is my goal all the time. “And I am behooved to say that I have learned so much from Prime Minister Tuilaepa Dr. Sailele Malielegaoi. “At times it appears as if we are fighting verbally, but in my view we are debating an issue to make it better. I am happy to be working against him,” Olo Fiti said smiling. Olo served in the Samoa Government as an Assistant C.E.O. for the Samoa Airports Authority. He attended Avele and Samoa College prior to attending Auckland University of Technology where he received his Bachelor’s Degree in Telecommunications Engineering. He also specialises in Navigation Airport System and utilized his knowledge with S.A.A. for 16 years where he managed the Technical Division. Olo is also a businessman. 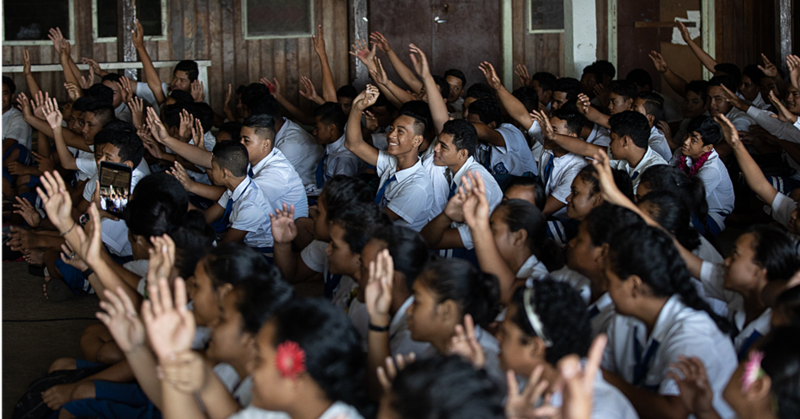 He brought investors and was able to install the first Solar panels in Samoa. “For many years the Government tried to bring in the solar project, but I don’t know what had happened. But the Member of Parliament believes that his business ventures will never succeed so long as he continues to go against the government. “I have been trying to make a living by opening my small businesses, but the government seems to always find a way to close it down, but that’s okay. Olo is the son of the late Mareta Togafau Fiti and Mat’autia Afoa Vaai.